Sale prices are good from now through July 4. Forget the “longest day of the year” and all that cosmological nonsense. 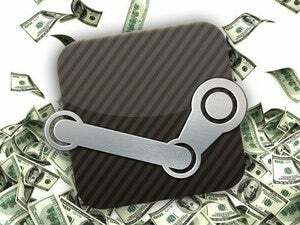 I think we can all agree the first day of summer coincides with the start of the annual Steam Summer Sale. Which, coincidentally, makes the first day of summer...today! 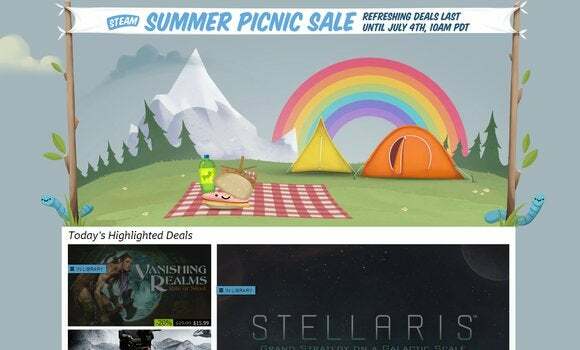 That’s right, the sale (this year called the Steam Summer Picnic Sale) went live at 10 a.m. Pacific today and runs through July 4. Good on Paypal for correctly leaking the sale dates once again. Of course, this is another new-era Steam Sale. Ever since the advent of Steam refunds, the craziness of Steam Sales has been toned down—meaning no Daily Deals, no Flash Sales, no Community Choice voting. The fact the sale runs through July 4 is largely a formality, because whatever deals you see today are what you'll see through the end. Those are all the deals. Still, there are some solid sale prices highlighted on the front page today. Ashes of the Singularity for $20 (50 percent off), Jackbox Party Pack 2 for under $9 (65 percent off), and the Deus Ex franchise for 75 percent off if you need to catch up before this summer’s release of Mankind Divided. That’s just scratching the surface, though. Steam lists 12,845 games on sale at the moment, and I’m sure there are some great deals hidden in the depths. Oh, and there are hardware deals too. You can snag a Steam Link and a Steam Controller for $35 each, if you want to start streaming your PC games to your living room. That's a steep discount from the usual $50 price tag for those two devices. You can also buy both as a $65 bundle and save a few more bucks. For first-time Steam salers (sailors? ), keep a tight grip on your wallet and—more importantly—build out that backlog of games you’ll never get around to playing. It’s a PC gaming rite of passage.